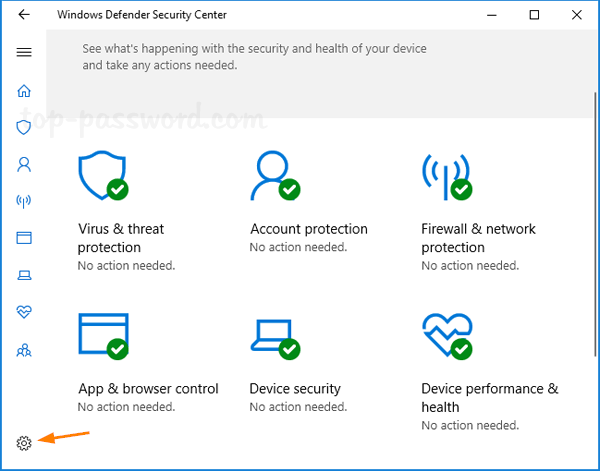 Windows Defender is a free antivirus software built into Windows 10, which runs real-time protection in the background. 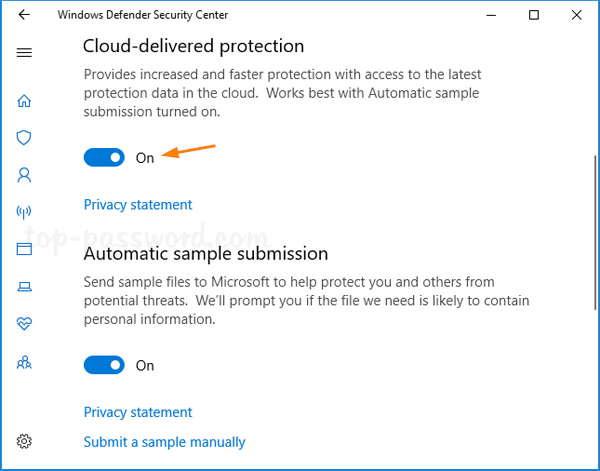 When Windows Defender finds a suspicious file, it will send the data to the cloud service so it can decide whether or not to block it. If you are highly concerned about your privacy, you may consider disabling the cloud based protection. In this tutorial we’ll show you how to turn on or off cloud based protection in Windows 10. How to Turn On / Off Cloud Based Protection in Windows 10? Open Windows Defender and then click on the Settings (gear) icon at the bottom left corner. 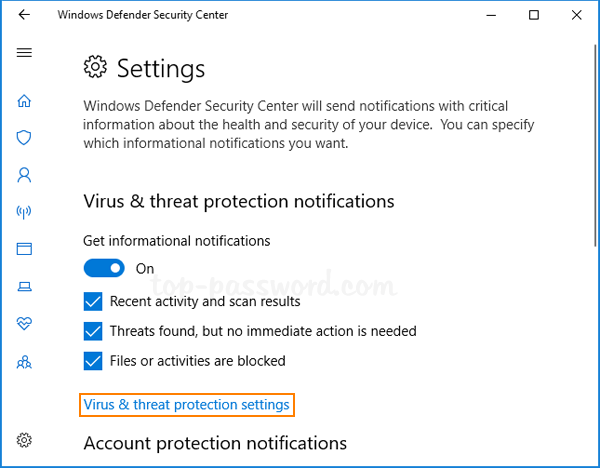 Click on the “Virus & threat protection settings” link under the “Virus & thread protection notifications” section. Turn on (default) or off “Cloud-delivered protection” for what you want. If you’ve enabled cloud protection, make sure “Automatic sample submission” are also turned On.